Note the images above are renderings I made. The hub actually come with spoke holes - but I didn't take the time to "drill" them. Outside of that they are pretty accurate. The disc hubs come in silver, red, or black. They have 24 spoke holes in the front and rear. The front is 138 grams and the rear is 264 grams. 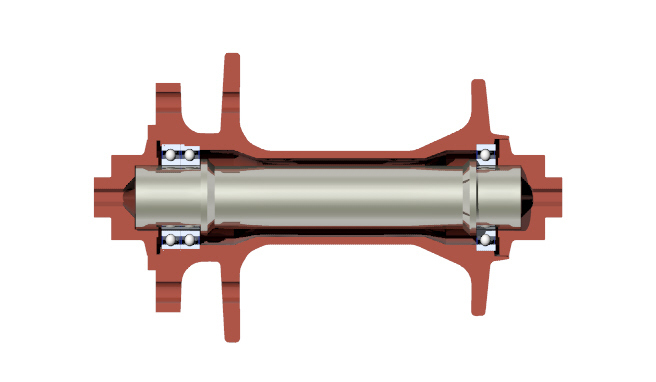 The front over lock nut dimension is 100 (standard for Road, Cross, and MTB, and the rear is 135 mm - standard for most Cross bikes and all MTB (at least cross country). 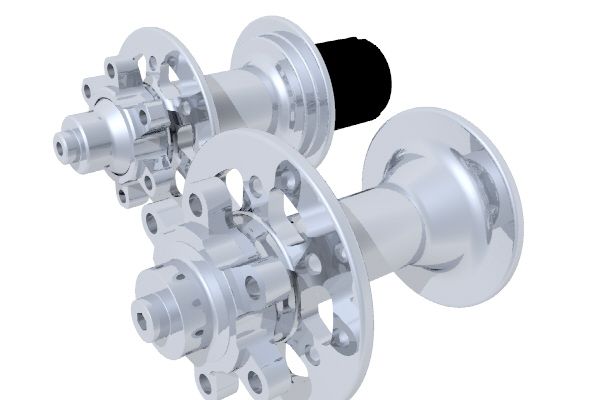 The hub shells are first forged and then machined from 6000 series aluminum. 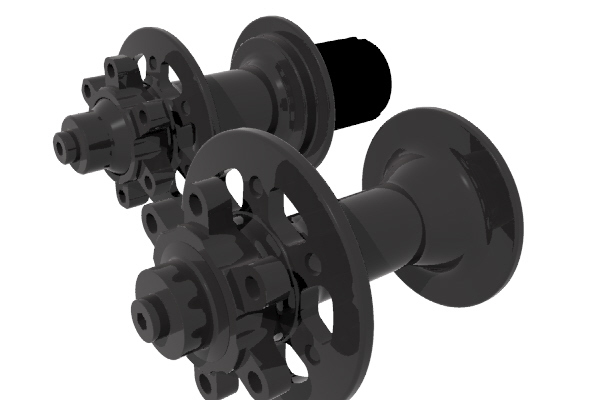 The bearings are Abec 5 level triple contact seal bearings offering more seal contact than our standard road hubs. Never the less, a power hose sprayed in the bearing will clear out the grease. The images below are cutaways of the hubs. Note that cutting any hub in half is not recommended and will void all warranties. Note the double bearings underneath the front rotor. That's where some of that extra weight in the front hub comes from. 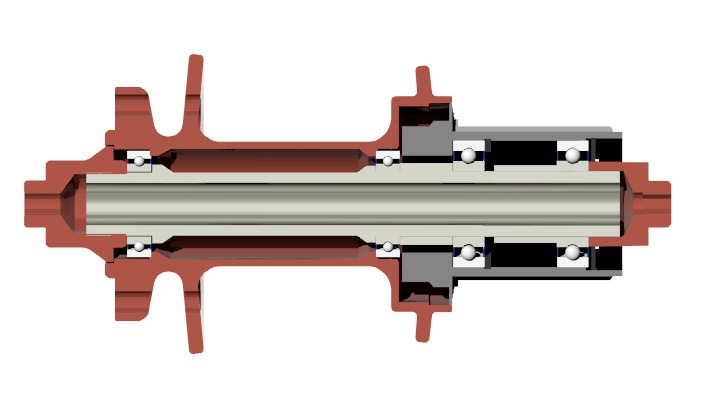 Both front and rear axles are 15 mm and use 6802 cartridge bearings. The cassette body is the same as used on our road hubs - Shimano and Sram 8,9,10,11 speed compatible (with varying spacers). We also have a Campy 10 andf 11 speed option.